Everyone needs a little pick-me-up now and then, but are there negative effects of caffeine? Caffeine is included in a number of popular diet supplements, and is also present in many of our foods and beverages including coffee, tea, chocolate, and some soda. What are the negative effects of caffeine? Some you may know, but others may surprise you. 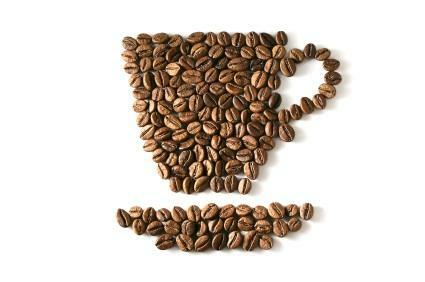 Caffeine is a central-nervous system stimulant that occurs naturally in a number of plants. In the plant kingdom, it actually serves as a natural form of pest control. It is such a powerful stimulant that it causes small insects and pests to become over stimulated and collapse. It occurs naturally in coffee shrubs, tea trees, cacao trees and yuba mate. It is considered a psychoactive drug; however, it is not a controlled substance like many other psychoactive drugs. Caffeine may also be listed on ingredients lists as guaranine, theine or mateine. If you are trying to avoid caffeine, be sure to look for each of these on the ingredients list. A small amount of caffeine in naturally occurring substances such as chocolate will most likely not be harmful. In larger amounts or when consumed habitually, however, there are a number of negative effects. Caffeine is addictive. If caffeine is consumed daily, your body develops a dependence on the caffeine just like it would on any other psychoactive drug. This can result in exhaustion, weakness, headaches and other symptoms if you miss your daily dose. Withdrawal from caffeine can take between a few days to a few weeks, depending on a number of factors including daily caffeine intake levels, metabolism and other factors. Caffeine can disrupt sleep cycles. This can lead to greater intake of caffeine to give you the boost you need, which further disrupts sleep cycles. Disrupted sleep cycles lead to poor quality sleep and less deep sleep, which can lead to exhaustion during the day. Poor sleep is indicated in a number of health problems including weight gain, which casts the use of caffeine in diet supplements into doubt. Because caffeine is a central nervous system stimulant, it may lead to a host of problems ranging from feeling slightly buzzed to anxiety or panic disorder. One of the reasons that it is believed that caffeine is related to panic and anxiety disorder is that temporarily increases the amount of dopamine in your body and then causes it to crash when the caffeine wears off. Not only that, but caffeine can actually reduce the effectiveness of anti-anxiety medications. Caffeine increases heart rate, and can cause an increase in blood pressure. This can be life threatening for those who already are prone to such issues. Caffeine can increase blood sugar levels, which can lead to diabetes, or exacerbate the condition in those who already have it. Caffeine affects more than the blood, however. It also has an acidic effect on the body, which can lead to indigestion, ulcers and diarrhea. Many of the effects of pre-menstrual syndrome and dysmenorrhea may be lessened or eliminated by reducing or ceasing your caffeine intake. Inhibits adeonsine - Adenosine is a hormone which calms your body . Inhibition of adenosine can interrupt sleep cycles and increase anxiety. Raises adrenaline - Adrenaline is a hormone that is present in the fight or flight response. Natural levels of adrenaline stay low and balanced, until your body needs it. Artificially boosted adrenaline can lead to a state of constant stress, tension or anxiety. Raises cortisol - Cortisol is a stress hormone. Increased cortisol in your body can lead to weight gain, heart disease and other ailments. Increases dopamine - As previously stated, caffeine temporarily raises the level of dopamine in your body. Once this effect wears off, your natural levels of dopamine feel "low," leading to an increased dependence on the caffeine in order to maintain a level of feeling good. Below is a list of all of the side effects you might experience from caffeine. As you can see, caffeine can have a definite negative effect on your body. It is best to ingest this powerful substance minimally.